Police have responded to the Trump International Hotel in Washington DC after an anonymous threat to shoot up a meeting there supporting President Donald Trump. 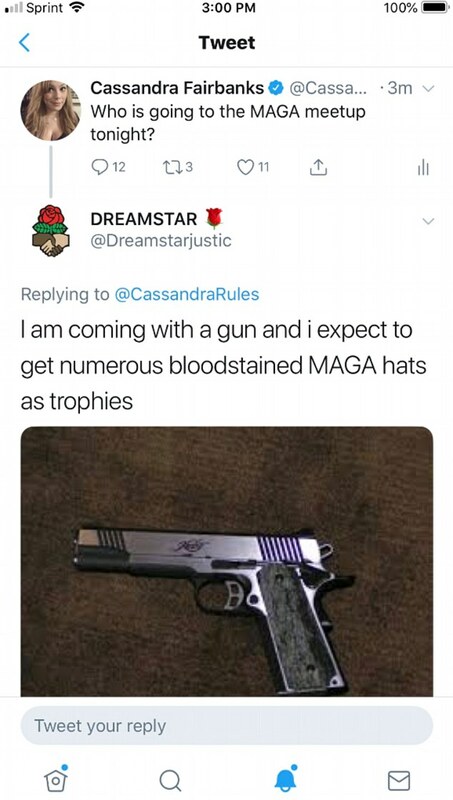 'I am coming with a gun and i expect to get numerous bloodstained MAGA hats as trophies,' the account wrote, referencing the Trump campaign slogan 'Make American Great Again'. Leftists are unhinged and dangerous. Soon, one of these loons is going to make good on its' threats. All Hell will break loose then.